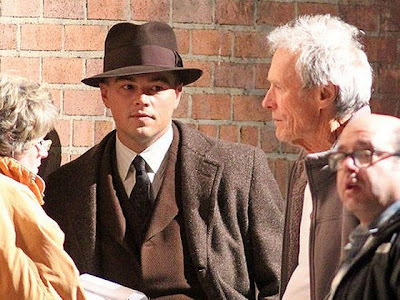 Leo DiCaprio and Clint Easwood Start Filming "J.Edgar"
It is official that Clint Easwood started filming his next film based on the controversial life story of FBI Director J. Edgar Hoover. Aboard the the film is the academy award winner Leonardo DiCaprio who will play the the title role and will b joined by the likes of Armie Hammer, Naomi Watts and Ed Westwick to name a few. BURBANK, CA, February 23, 2011 – Principal photography has begun on “J. Edgar,” starring Academy Award® nominee Leonardo DiCaprio (“Inception,” “The Departed,” “Blood Diamond”) under the direction of Oscar® winner Clint Eastwood (“Gran Torino,” “Million Dollar Baby,” “Unforgiven”). A drama that explores the public and private life of one of the most powerful, controversial and enigmatic figures of the 20th century, “J. Edgar” was written by Oscar®-winning screenwriter Dustin Lance Black (“Milk”). As the face of law enforcement in America for almost fifty years, J. Edgar Hoover was feared and admired, reviled and revered. But behind closed doors, he held secrets that would have destroyed his image, his career and his life. “J. Edgar” also stars Academy Award® nominee Naomi Watts (“21 Grams) as Helen Gandy, Hoover’s longtime secretary; Oscar® winner Judi Dench (“Shakespeare in Love”) as Hoover’s over-protective mother, Anne Marie Hoover; Armie Hammer (“The Social Network”) as Hoover’s protégé Clyde Tolson, who was rumored to have more than a professional relationship with the FBI director; and Josh Lucas (“Life as We Know It”) as the legendary aviator Charles Lindbergh, whose son’s kidnapping changes the public profile of the F.B.I. The main cast also includes Damon Herriman (TV’s “Justified”) and Ken Howard (“Grey Gardens”). “J. Edgar” is being produced by Eastwood, Oscar® winner Brian Grazer (“A Beautiful Mind,” “Frost/Nixon”) and Oscar® nominee Robert Lorenz (“Letters from Iwo Jima,” “Mystic River”), with Tim Moore and Erica Huggins serving as executive producers. Behind the scenes, Eastwood reunites with his longtime collaborators, including director of photography Tom Stern, production designer James J. Murakami, editors Joel Cox and Gary D. Roach, and costume designer Deborah Hopper. Shooting on “J. Edgar” is taking place in and around Los Angeles and on location in Washington DC. A Warner Bros. Pictures presentation, the film is being produced under the banners of Malpaso and Imagine Entertainment. It will be distributed worldwide by Warner Bros. Pictures, a Warner Bros. Entertainment Company. 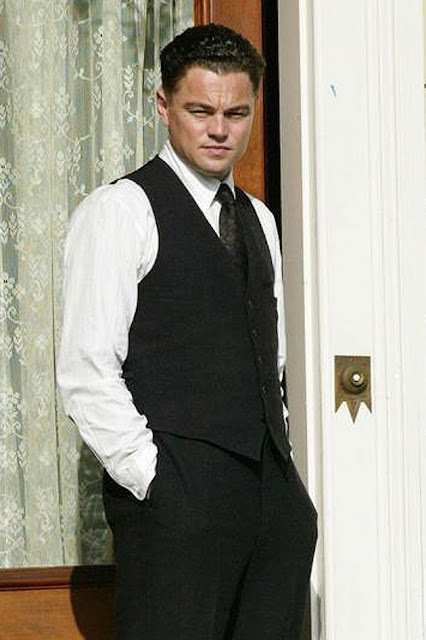 DiCaprio is indeed very particular to his chosen projects. He is so fortunate that he grabs those who have good mix of being an action flick but at the same time has a substantial material. And not to mention under the hands of Clint Easwood and joined by equally good actors. I would love to see this movie when it comes out in 2012.